Last year marked the first time in more than six decades that there was no Kennedy in elected office in the nation's capital. But that gap ends this week with the inauguration of Rep.-elect Joseph Kennedy III of Massachusetts. 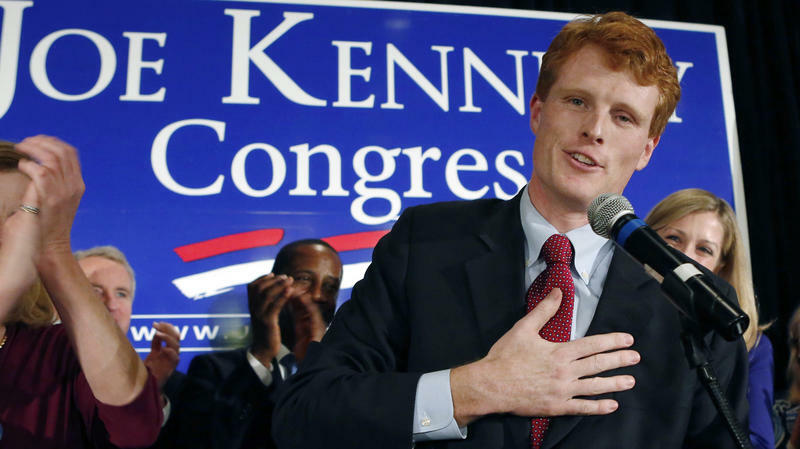 The son of former Rep. Joe Kennedy and the grandson of the late Robert F. Kennedy was elected by a 2-1 margin in his first run for office. There's little denying that Kennedy's election was about more than just him. First Of Shooting Victims Buried In Newtown, Conn.
With money coming in more slowly than the financial aid given out, schools say they are nearing the breaking point, and even the most selective elite universities are rethinking their generosity. 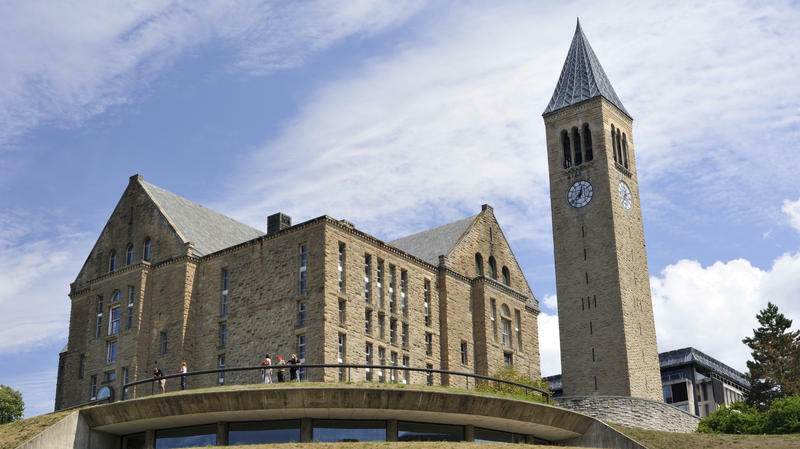 "It just became clear that if we continue to give more and more aid, the numbers don't add up," says Raynard Kington, head of Grinnell College. Thanks to longtime former board member Warren Buffett, Grinnell has an endowment bigger than most schools dream of. For years, that's enabled Grinnell to admit students on a need-blind basis — and then give them as much aid as they need. NPR's Tovia Smith has more on young voters. TOVIA SMITH, BYLINE: One commentator called it the demographic cliff. With young voters trending blue, and more and more of them coming of age each election, it doesn't bode well for the GOP. NPR's business news starts with echoes of Solyndra. A Massachusetts manufacturer of electric car batteries has filed for bankruptcy. The company, A123 Systems, had received hundreds of million dollars in federal support, including a $250 million grant. 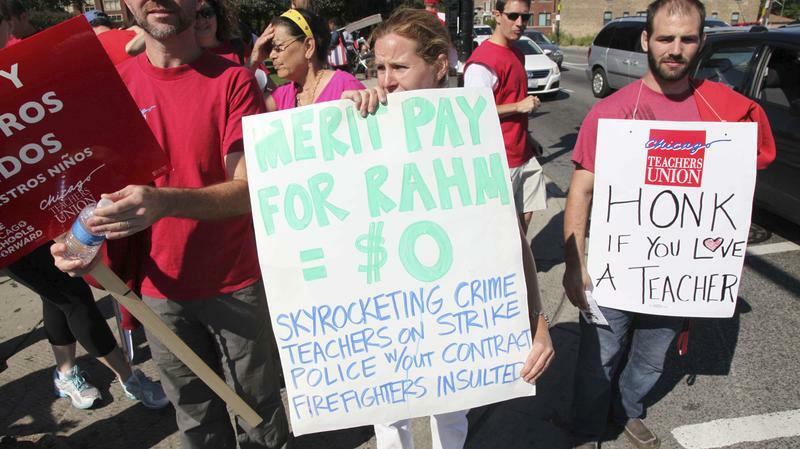 One of the primary issues at the heart of the the Chicago teachers' strike is whether student test scores should be used to evaluate teachers and determine their pay. 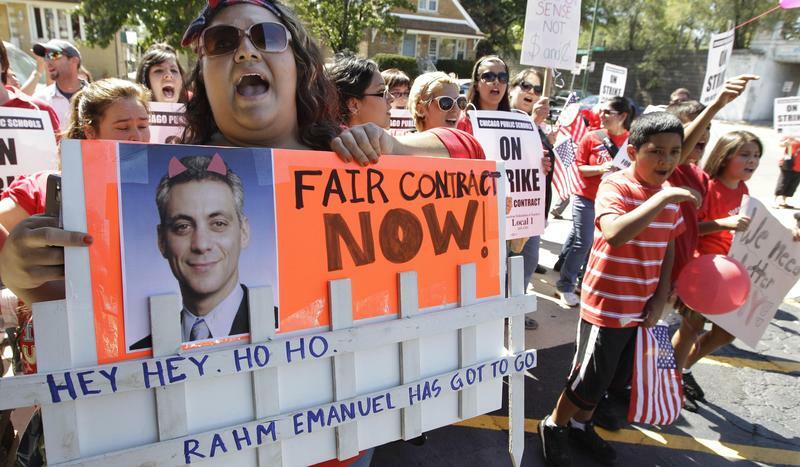 Mayor Rahm Emanuel is pushing that approach, as are other officials around the nation. But many teachers insist that it's inherently unfair to grade their teaching based on their students' learning. It was a major accomplishment in Chicago that teachers who used to walk out frequently had, for the past 25 years, managed to avoid a strike. But it's not surprising, many experts say, that things would fall apart now. "I think it is a perfect storm," says Tim Knowles, head of the University of Chicago's Urban Education Institute. He says issues in Chicago — of tying teacher pay to student test scores, job security, longer school days and expanding charter schools, for example — are not unlike issues unions have grappled with in other cities, from New York to Los Angeles.